Gal in the Middle: Oh my love of butterflies! 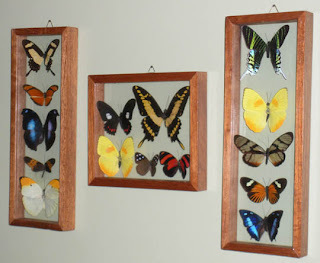 Oh my love of butterflies! I don't know when my love of butterflies first surfaced. Those graceful, colorful, dancing creatures...oh I love butterflies! Maybe it was when I was a summer intern at a farm newspaper almost 15 years ago (gawd that sounds like a long time ago). 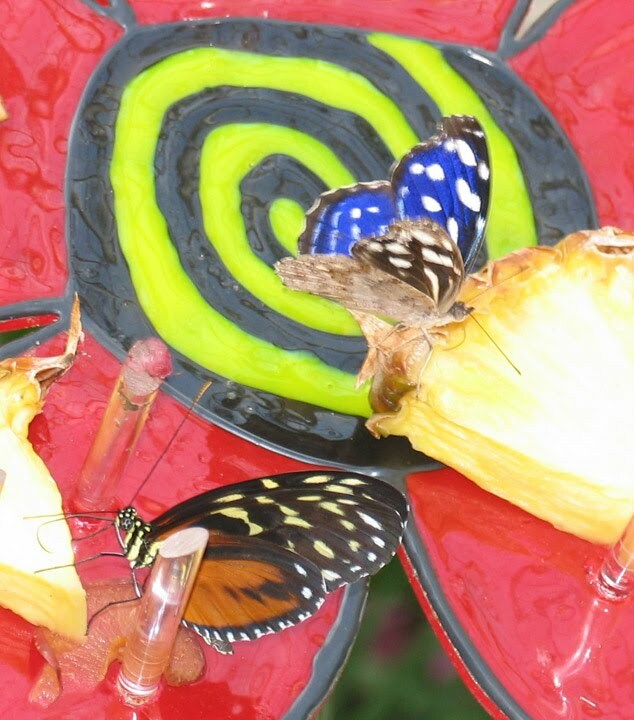 I visited a butterfly farm - yes, a farm that raised butterflies - somewhere in Indiana. Maybe it was in the south, maybe it was up north, for the life of me I can't remember. I do remember the lush green grass, the quiet woods and ALL of the butterflies. Small, large, orange, yellow, white and black - there were dozens of different types. Oh the photos I took that day. I must have taken hundreds, I just couldn't stop. I wish I could share them but I shot them on film! Remember that? Loading the camera with a roll of film; not knowing what kind of shots you got until - gasp - the film was developed; envelopes with prints and negatives. What a different world that was. So all I have left from that transforming experience is a copy of the paper and an envelope of negatives somewhere in my closet. Now I am a collector of butterflies. They are on my walls, shelves, clothes and even on my purses! I tell myself that I won't buy one more thing with a butterfly on it but then a picture catches my eye or a cute notebook calls my name and I can't resist! 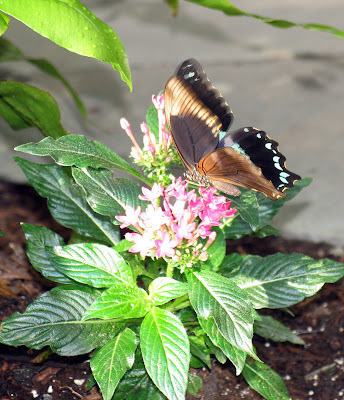 To try and ease my urge to gather more butterflies around me, I try and visit the Butterfly Exhibit at White River Gardens at the Indianapolis Zoo when it comes to town in the spring. If you haven't been, I highly recommend it. After a long winter of constant meetings and a lot of travel, I had a day off of work so my sister and I took my nephew Tyler (who's so darn cute) to the Zoo on Good Friday and had a wonderful time. I plan on going back again this summer and then again next year and...well you get the picture! Oh I love butterflies! Glad I slowed down and watched the butterflies go by. I remember that fw story!! Lovely pictures. 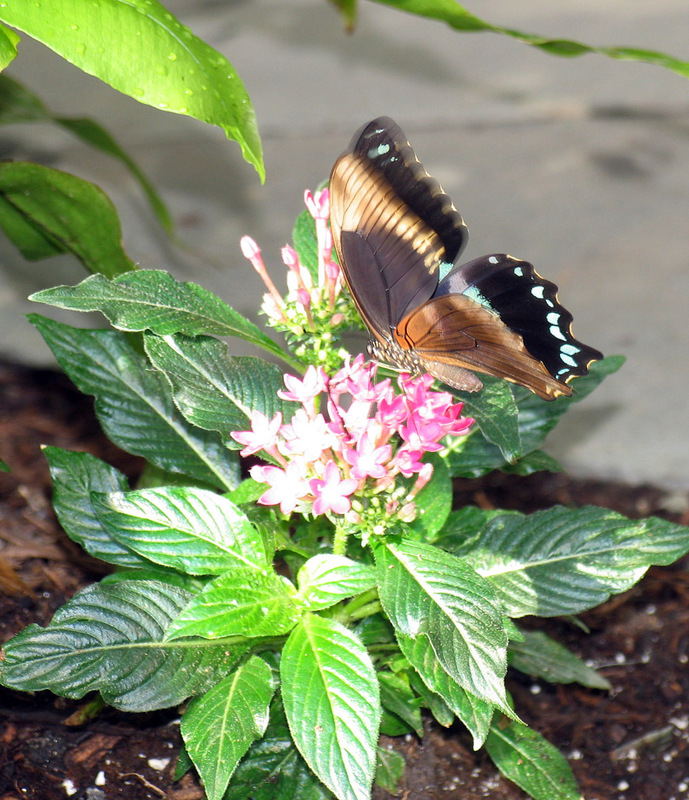 I went to the White River Botancial Garden a couple of weeks ago and the butterflies there were beautiful. Happy Blogging!! Love the post! I didn't know you liked butterflies so much..mental note taken! I'm with Hannah...mental note taken! Glad to see you writing on the creative side not just the work side! Welcome to the blogosphere! Miss Add adores "flutter-bys" as well :) Thanks for the reminder--I need to take her there!